Fight scenes don’t have to be real, but they do need to tell a story. In partnership with The Australian Ballet’s new production of Spartacus, we talk to the professionals tasked with punching-up a production. Nigel Poulton has made a life out of imbuing conflict with narrative power. The internationally renowned fight director has choreographed fight scenes for TV shows such as HBO’s Boardwalk Empire, and previously worked with the likes of Bell Shakespeare and New York City Ballet. It’s a talent he’ll bring to bear in the lead up to The Australian Ballet’s production of Spartacus, choreographed by Lucas Jervies and set to premiere in Melbourne this September. Spartacus, the story of a gladiator who leads a slave revolt against the Roman Empire is a tale so ingrained in our culture, it hardly begs retelling. But like every epic story, its universal ideas – the value of bravery, the importance of fighting corrupt powers – are as relevant today as they were in 72 BC. The Australian Ballet’s principal artist Kevin Jackson says he’s excited to embody Spartacus as a living person, complete with contradictions and vulnerabilities. It’s easy to classify fight scenes as gimmick. But for Jackson, they’re an outward manifestation of his character’s inner struggles. In Spartacus, the fight scenes chart high and low points in the narrative, bringing moments of reckoning to life. 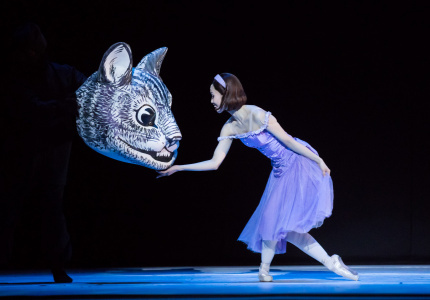 Broadsheet is a proud media partner of The Australian Ballet.